Smartphone maker Nokia has issued a software update to resolve data connection problems reported by users of the new Lumia 900 and it is offering a $100 AT&T bill credit to anyone who currently owns the handset or buys it before April 21. The company, which describes the credit as a "gesture of goodwill," quickly acknowledged the problem with the phone when users began complaining about losing their data connections shortly after the device hit U.S. store shelves earlier this month. The credit effectively means anyone who was on the fence about whether to try out the Windows Phone platform can essentially get on board for free if they buy one before the offer runs out. That's because AT&T is selling the Lumia 900 for $100 with a two-year contract. Users -- many of whom never experienced a problem after buying the phone -- are applauding Nokia, Microsoft, and AT&T for how swiftly the companies handled the data connection problem, as well as how well customers have been treated. And even though the Windows Phone operating system only holds a small fraction of the market compared with Google's Android and Apple's iOS, it can't be denied that many who use it, love it. Forrester analyst Sarah Rotman Epps recently wrote in a blog, "I will say it loud and say it proud: I love my Windows Phone." The developments show that sometimes being the underdog means you have to go all-out to win customer loyalty. 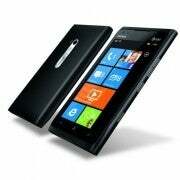 Only time will tell if Windows Phone adoption ramps up as a result. In the meantime, Nokia says if you have already purchased a Lumia 900, you have two options. You can either use Zune to update your phone with the new security update, or exchange your phone for a new one at any AT&T story until April 21.